It's been another successful and enjoyable year here at Followers HQ. 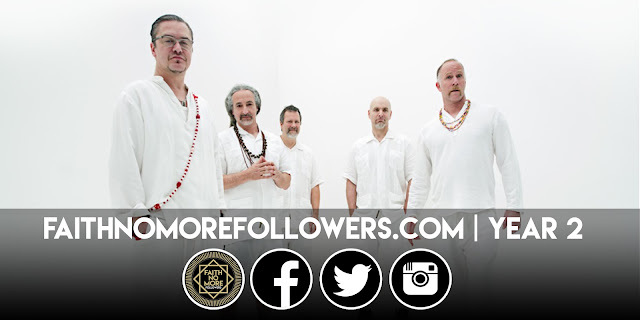 After such an eventful year in 2015 we were expecting a quiet 12 months, however Faith No More and the individual members have kept us busy yet again with fantastic album releases, live performances, news and interviews. And there have some momentous anniversary celebrations we have had the pleasure of discussing with our heroes and sharing with you. As the year reaches a conclusion we would like to take the opportunity to thank all those who have helped to make our page so popular. First and foremost we would like to thank Bill Gould for his constant guidance, support, patience and friendship. On behalf of the whole FNM fan community we salute your dedication and passion for the band you have lived and breathed for over 30 years. 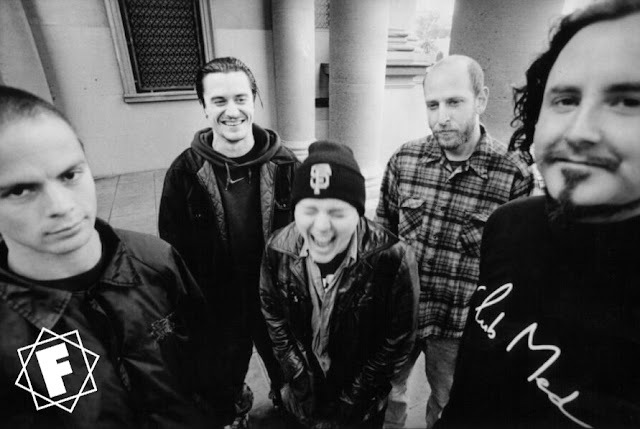 Thank you to Mike Patton, Jon Hudson, Mike Bordin, Roddy Bottum and Chuck Mosley for giving us a year of fantastic news to share. Thank you to those who have kindly given their time and talked with us in interviews. Thank you to those who have contributed to our page with facts, advice, promoting and encouragement. 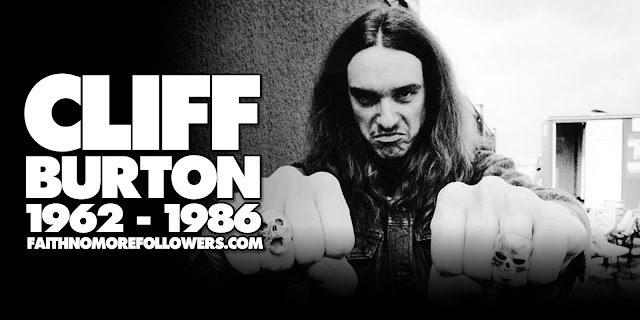 Thanks to those who helped organise and attended the 'We Care A Lot Listening Session' we hosted in Sheffield, Uk..
Tim Moss, Matt Wallace, Trevor Dunn, Danny Heifetz, Trey Spruance, Clinton McKinnon, Duane Denison, Dave Lombardo, Jone Stebbins, Lynn Truell, Anthony Pateras, Dean Menta, John Kaada, Steffan Chirazi, Jared Blum, Espen J. Jörgensen, Goce Cvetanovski, Maor Appelbaum, Adrian Harte, Chris Buckley, Andrew Bowie, Rodrigo Roros, Andy Couch, Shawn Vesinaw, Adam Drucker, Adriano Mazzeo, Doug Esper, Dean Nutt, Mike Wellman, Matt Thompson, Joel McIver, Joan Osato, Frank Quinn, Andy Brown, Michael Scuh, Stefan Negele. Ipecac Recordings, FNM 2.0, Faith No More Gig Database, Infectious Grooves Fans, Faith No More Forever, Faith No More French Community, Bungle Weird, The Holy Filament, Patton Fanatic, Faith No Man, Bungle Fever, Caca Volante , Team Rock, Creature Culture, Loudwire, Popmatters, Foto Rock, Bass Players United, InfiniteHive, Planet Rock Radio, Walkabout Sheffield. Thanks to those who regularly like, share and comment on our articles, videos and artwork. Our promise to you is to continue researching, interviewing and sharing. Let's hope 2017 is equally as exacting as the last 12 months. Here are some of the moments we are most proud of sharing this past year. but when oh when are we getting the Bungle s/t 25th anniversary interview with Patton? !